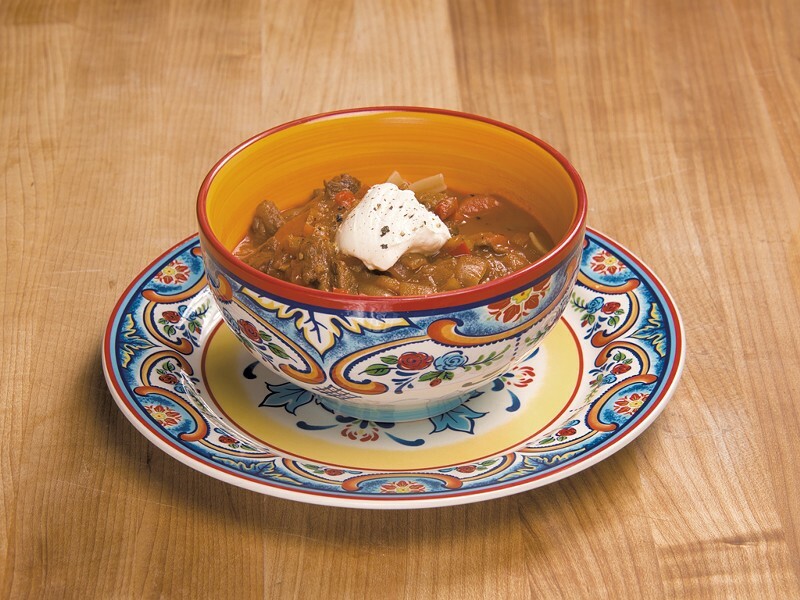 Hungarian Goulash: Comfort Food With Ancient Roots | Mealtime | Kids VT - small people, big ideas! Ask most Americans what goulash is, and they'll probably say tomato sauce with lots of meat, mixed with macaroni noodles. With origins in medieval Hungary, there are actually many variations of this hearty dish. According to my internet research, it began as a shepherd's stew and the now-signature Hungarian paprika was added to the recipe in the 16th century. It can be made with beef, veal, lamb or pork, or a mixture of meats. For my take on the dish, I made a brothy stew with bell peppers, carrots and onions, served over egg noodles. The key ingredient is sweet Hungarian paprika. The standard paprika you find at most grocery stores won't have nearly as much earthiness and depth as an imported Hungarian paprika, as most American recipes use paprika mainly for its rich, reddish-orange color. You should be able to find Hungarian paprika in the bulk spice section of larger grocery stores or online. Don't use smoked paprika. That spice has a more tangy, "barbecued" flavor that won't give you the traditional goulash flavor. For years, my husband and I have dreamt about a family trip to Prague — where we honeymooned — then a jaunt over to Budapest to sample all of the culinary treats the region has to offer. For now, we'll just travel with our taste buds. Dredge the meat pieces in flour, and brown on all sides in the butter. Remove from the pan and set aside. Add the onions to the pan, and cook over medium heat for about 7 minutes, stirring often to coat with the butter and meat drippings. Remove the pan from the heat, and stir in the paprika. (Doing this off the heat keeps the paprika from burning.) 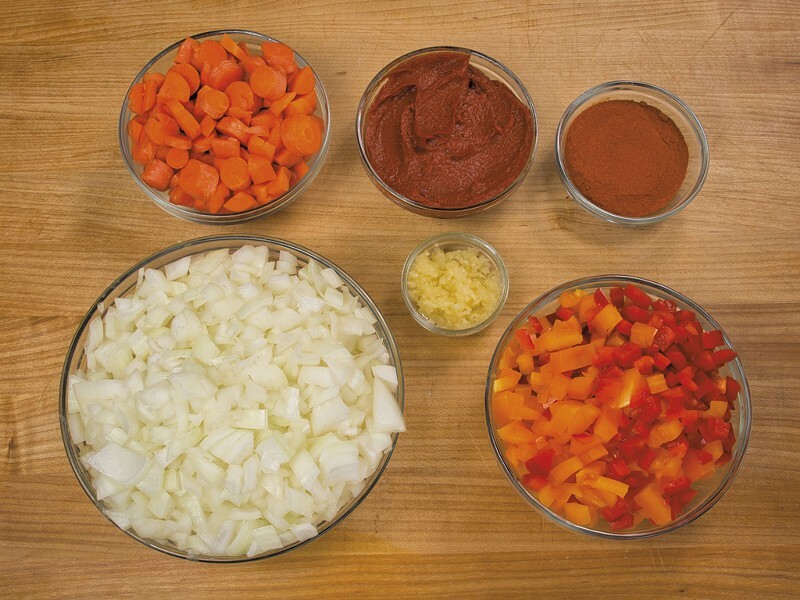 Add the garlic, peppers and carrots. Return to medium heat and cook for 5 minutes more. Return the meat to the pan, along with the broth, bay leaf and tomato paste. Stir well, cover and simmer for 2 hours, stirring occasionally. If using egg noodles, cook them according to package directions when the goulash is almost done. Serve a generous portion of goulash, along with plenty of broth, over the noodles.